Supplementation with CFS vitamins and minerals is likely to be helpful. Even if you follow a sensible CFS diet, you may not absorb sufficient nutrients. Due to intensive farming methods, the soil and therefore the food no longer contain the nutrients they once did. In addition, someone with CFS or ME or other chronic illness may have physical problems with absorbing the nutrients in the food they eat. 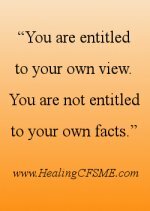 Yyour diet is your main way to receive the appropriate vitamins and minerals to help your alternative healing from CFS. Do make a priority of having a good diet before you spend money on natural healing supplements. If you are going to take natural healing supplements, please also consider consulting a nutritional health practitioner. The range of vitamins and minerals available can be overwhelming. In addition, successful absorption of nutrients by the body can depend on combining certain supplements together. Since writing this article and calling it "CFS Vitamins" I have started taking plant-based minerals with great success, so I recommend them highly. Please click through to read more about the plant-based minerals I take. · Which is better - tablets or capsules? · Which foods contain Vitamin B12? · What are the symptoms of B12 deficiency? Which mineral supplements to take for CFS? 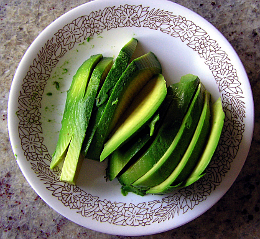 · Which foods contain magnesium? · What are the signs or symptoms of magnesium deficiency? I had blood tests done at Biolab in London, UK where there are 100 or so tests available, many useful to determine CFS vitamins and mineral deficiencies. Click through to read more about these and other tests. CFS vitamins I took for many years were Vitamin B complex along with sometimes taking Vitamin C.
I now take a multi vitamin protein drink (click through for more details) which hopefully provides these vitamins. The main mineral for CFS I took was magnesium. Now I take a healing supplement which provides up to 75 plant-based minerals including magnesium. I have had a huge rise in health as a result, so I have stopped taking minerals in any other form. NB. Please note that large quantities of unbuffered Vitamin C can cause ulcers. Which is better - tablets or capsules? Vitamin B is sensitive to heat, so capsules are better than tablets. Tablets are also more likely to pass through the gut undigested. Vitamin B12 injections may be available from your Doctor. I had them for several years. A nurse would come to the house. Later they provided the needles and the vitamin B12 and I self injected. I was severely ill at the time. B12 injections were no miracle cure for me but I do think they helped. I also appreciated the monthly visit from a nurse. I really found it quite hard to inject myself though! I have read of people with ME for whom these injections have really helped to relieve brain fog. Vitamin B is water soluble and therefore easily lost during food preparation. The mineral magnesium is without doubt the most important natural healing supplement for me to take. What are the benefits of magnesium as a mineral supplement? There are many benefits of taking magnesium, but the following information makes magnesium a particularly relevant mineral for CFS sufferers. Magnesium in the body acts as a co-factor for approximately 90 enzymes in energy metabolism. Magnesium is required for good functioning of neurochemical transmissions. Magnesium is vital for cell division. Magnesium is needed for proper nerve function. Magnesium plays a role in the immune response. Many people with the illness CFS/ME test low for intracellular magnesium. I recommend that a CFS diet includes sources of magnesium. If you test low for magnesium, consider taking a magnesium supplement. In the UK, the NHS usually only measures serum magnesium. This is not a useful test as the levels of serum magnesium will test normal. To measure your levels of magnesium you need a blood test for intracellular magnesium. You will probably need to pay privately to have this test. However, in the UK, your doctor may be willing to pay for the blood to be collected and even sent to the clinic as long as you pay for the actual test. It is not known if magnesium deficiency is a symptom or related to the cause of CFS/ME. Click through for a recommended private clinic to do blood tests in London, UK. Even if you live elsewhere, it might help you to be aware of the tests for CFS vitamins that are available. You can then search online to find a clinic near you. Research into magnesium deficiency by Dr David Dowson was published in The Lancet March 1991. This showed that 80% of ME sufferers benefited significantly from injections of magnesium sulphate. As a result, Magnesium injections may be available on the NHS in the UK. I believe there have been subsequent trials where the results for the benefits were not so conclusive. I had two magnesium injections when severely ill. There was no dramatic improvement in my general health, but my sleep improved which I believe to have been a consequence. Dr Sarah Myhill finds that magnesium injections frequently lead to reduced symptoms in her patients. In 2004, a study at the School of Biosciences, University of Birmingham, UK, showed that bathing in Epsom Bath Salts could effectively increase sulfate and magnesium levels in the body. This makes taking baths in epsom bath salts a possible way to take minerals for CFS. I tried a 1-Kg bag of Epsom bath salts from an Amazon store to try out the above advice. For a 15 gallon bath you will require 600 grams. I love my baths so it seemed a great way of absorbing this important mineral. 600g is a larger amount than I realised and you will want to buy enough for a number of baths. If you have muscle fatigue as a symptom, you would need to have the salts delivered. Your parcel will probably be too heavy for many people with CFS/ME to carry for themselves. I didn't notice any improvement in symptoms or reduction in pain. So I haven't continued using epsom bath salts as a way to take minerals for CFS. I have gone back to paying £2 (less than $4 USA) for a box of bath salts. I find it a more effective way to ease the aches and pains. One way of taking magnesium and making sure to combine it with other important minerals is to take a multi mineral. I recommend these plant based minerals (This is my affiliate link). Foods that contain magnesium are listed below. Perhaps this explains my love of spinach and avocados. I must remember to eat more of them! 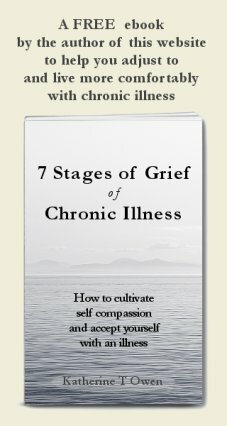 Tip: Many people with CFS/ME have problems with digestion. If you have trouble digesting almonds, you can soak them overnight in water. Magnesium is needed for vitamin B1 metabolism, so if you take a magnesium supplement it may correct vitamin B1 deficiency. What are the signs or symptoms of magnesium deficiency? 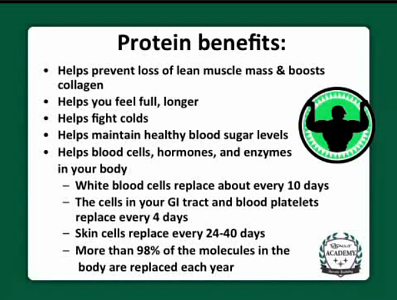 Since September 2013 I have taken a daily protein drink. 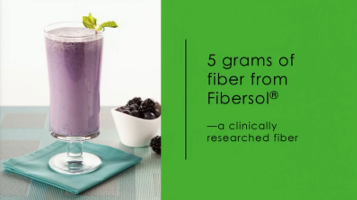 As well as providing protein, the shake includes suitable levels of minerals and vitamins for CFS. I wish I'd known about this protein drink when I was more severely ill. I tried other protein drinks - the kind recommended for bodybuilders - and they didn't suit me at all. This one suits me very well. Click through for more details of the protein drink including a video I made! When the body absorbs minerals, it becomes better able to absorb vitamins from the diet. 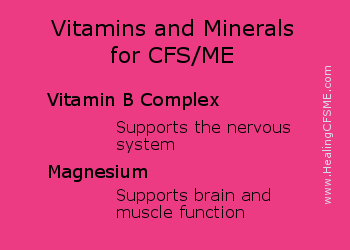 Nowadays, I don't take vitamins for CFS but only minerals. Click through to read about the plant derived minerals I take and love! In the past I've used Neways products - Maximol and Revenol. I used them at a time when I was severely ill, on the recommendation of someone with the illness ME who had seen a huge improvement. Maximol is a multivitamin and mineral. I was unable to measure any dramatic improvement, but drinking Maximol always felt to me like putting petrol in my body in a really good sense– fuelling myself. It helped me during the years of severe disability with CFS/ME to know that I was taking a good multi mineral and vitamin supplement. Biolab in London recommend Biocare products which I took for many years and trust because of the recommendation I received. Many vitamins and minerals have low absorption rates and may not be absorbed at all, so it's important to go with a make you trust. When considering the information above, please note that I am not a nutritional health practitioner. Guidelines are strict (too strict in my opinion) about stating definite benefits gained from nutritional health supplements. Please know you will be unique in your nutritional requirements. Please consult your medical practitioner and use your own wise judgment. However far you decide to take your investment in ME / CFS vitamins and minerals or those to heal any other chronic illness, I wish you a better day tomorrow than today.